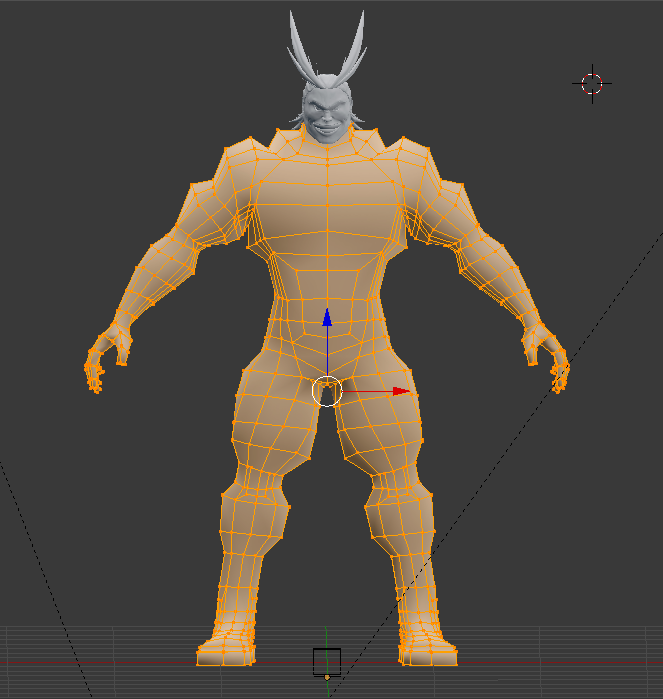 I recently ran into the need to retopologize the body mesh of the character below so I could connect the body to the head (I needed to make the edge loops have the same number of vertices). This is where I realized a major problem. 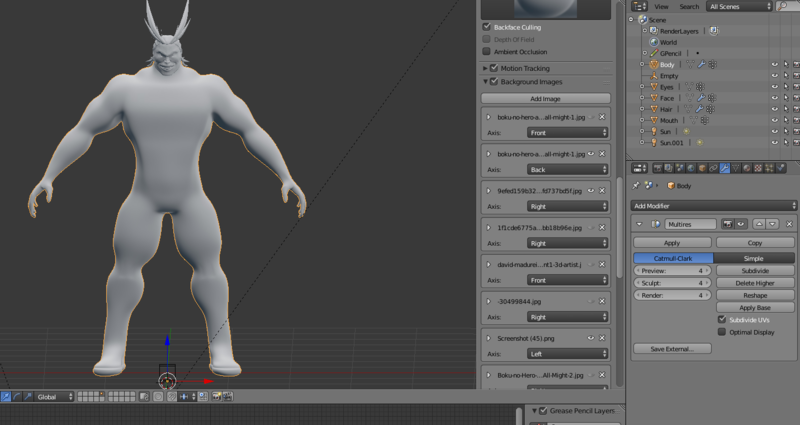 I had been using a multires modifier and I had already begun my sculpt. I figured all I needed to do was delete one half of my mesh and use a mirror modifier across the x-axis so my new topology would be symmetrical. Upon following this obvious method all was looking great. 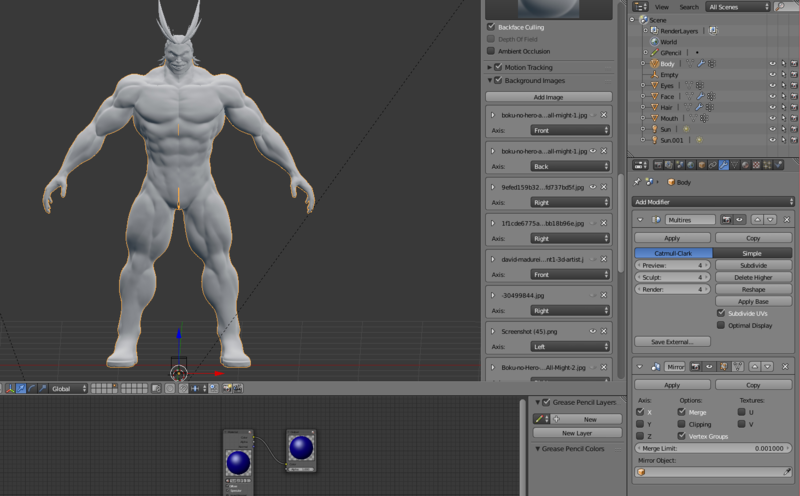 Besides some splitting between the meshes, it looked like I could apply the mirror modifier. BUT THEN, I discovered that the mirror modifier does not play well with the multires modifier. 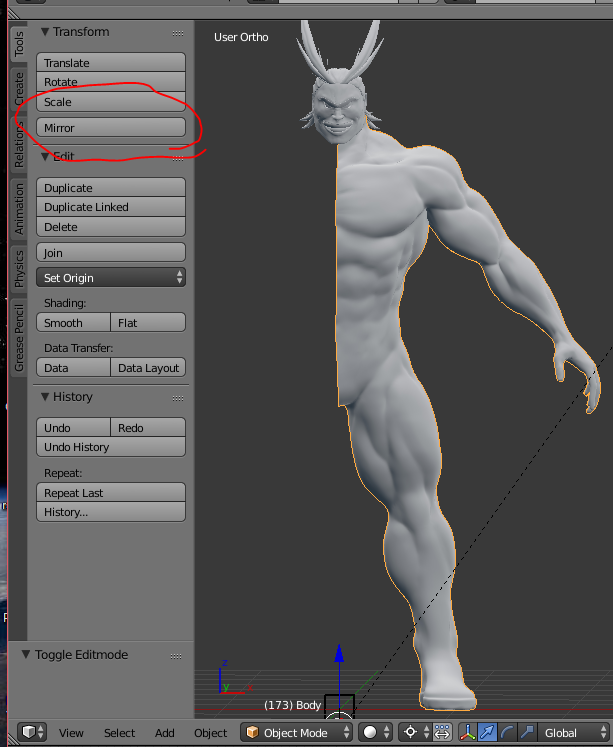 And that you can't move the mirror modifier above the multires modifier in the stack. It seemed this mesh without my sculpting detail was unavoidable if I was using a mirror modifier. Then I tried to mirror the mesh manually in edit mode by duplicating (SHIFT+D) and scaling by -1 on the x-axis. To my dismay, this resulted in all of the normal mapping from my sculpts being inverted. I tried to resolve this for hours. It finally occurred to me to try to mirror from object mode under the "tools>transform" panel. So I duplicated my original body mesh and tried just that. PRESTO! 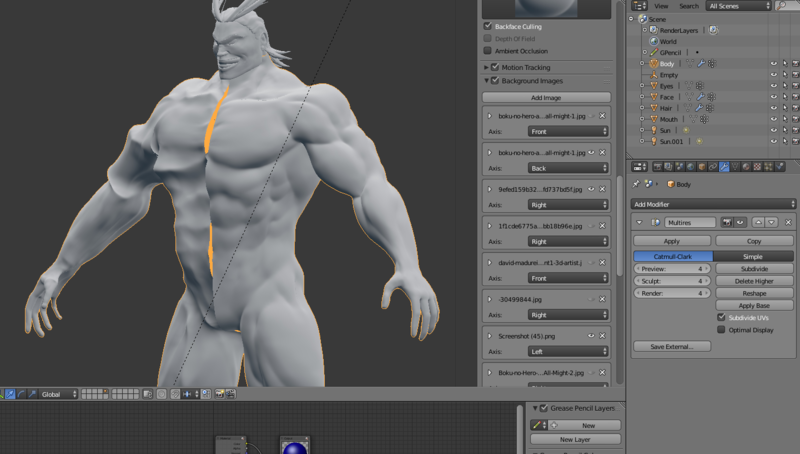 I got what I needed, and I won't have to worry about losing sculpting detail because of pesky mirror modifiers! 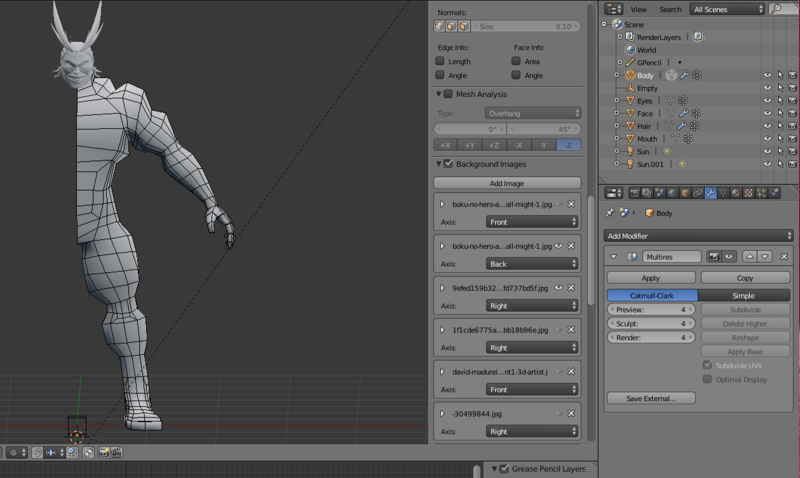 All that is left after this step is to join the "body" and "body.1" meshes and merge any duplicate vertices. I primarily wanted to post this as a help to others, but also to ask whether there are any easier work-arounds to this issue. If anybody knows an easier way to deal with this problem, your explanation would be greatly appreciated. Browse other questions tagged modeling modifiers mirror sculpting multiresolution or ask your own question. 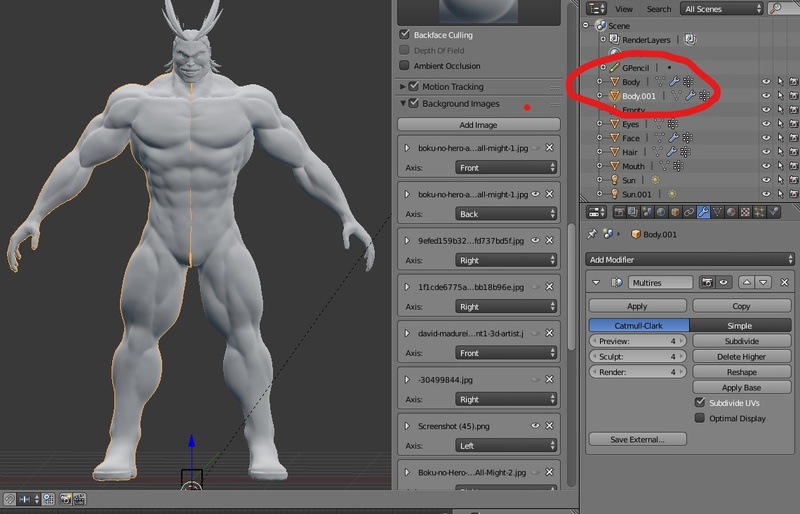 How do I avoid gaps to a mirror modifier when I am scaling a model vertices?